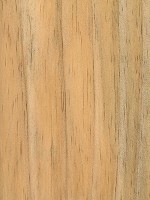 Color/Appearance: Heartwood is light brown, wide sapwood is a paler yellowish white, and is distinct from the heartwood. 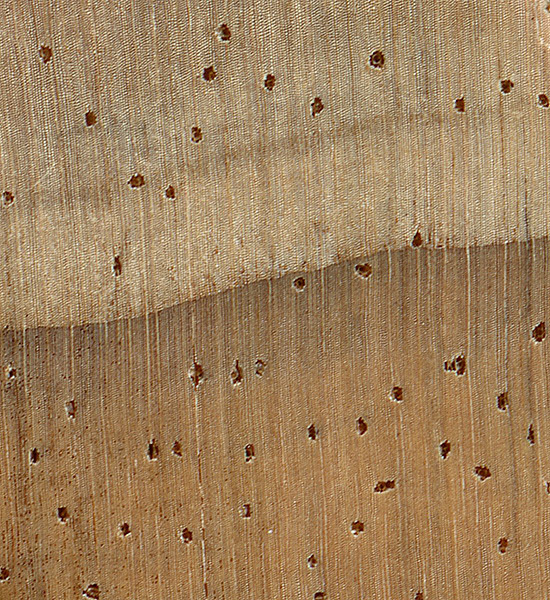 Radiata Pine lumber is plantation-grown, and generally has very wide growth rings and is knot-free. Grain/Texture: Straight grained with a medium, even texture. 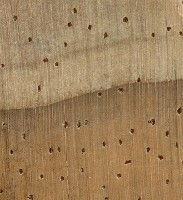 Endgrain: Medium-large resin canals, very numerous and evenly distributed, mostly solitary; earlywood to latewood transition gradual (with very wide growth rings), color contrast moderate to low; tracheid diameter medium-large. Rot Resistance: The heartwood is rated as non-durable to perishable in regards to decay resistance. 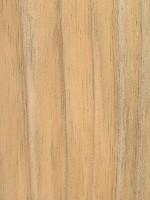 The sapwood is readily treated with preservatives and is used in exterior applications. 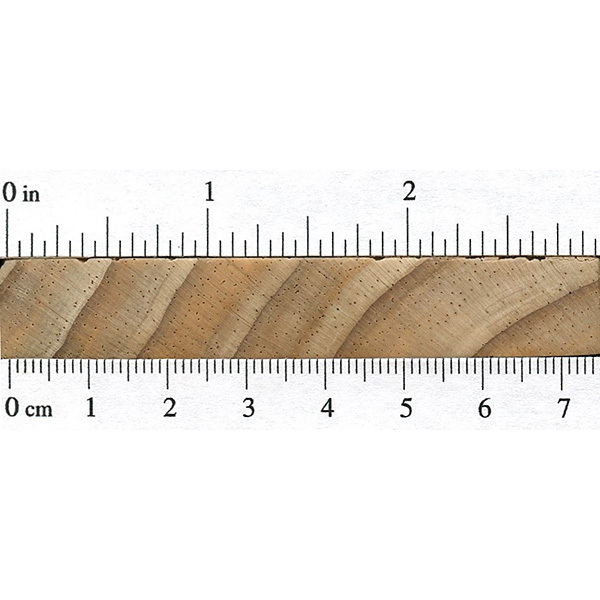 Workability: Radiata Pine works well with both hand and machine tools. Glues and finishes well. Odor: Radiata Pine has a faint, resinous odor while being worked. Pricing/Availability: Radiata Pine is grown almost exclusively on plantations—most notably in Chile, Australia, and New Zealand. Prices should be moderate for an imported lumber, though most likely more expensive than domestic pines/softwoods. 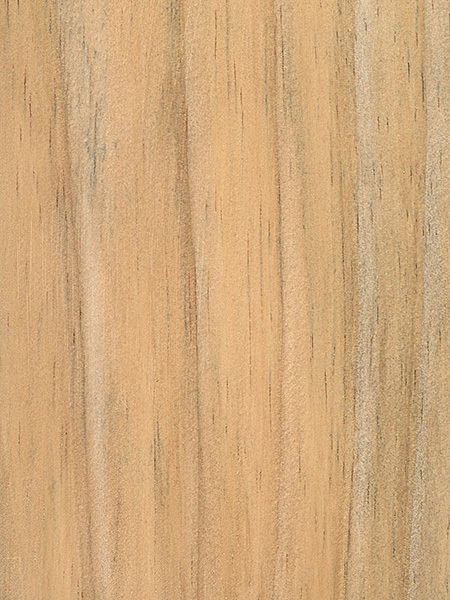 Sustainability: This wood species is not listed in the CITES Appendices, but is reported by the IUCN as being conservation dependent. Cessation of any current conservation programs would likely result in a vulnerable or endangered Red List status. Although this tree is widely cultivated on plantations, natural stands of Radiata Pine are frequently infected by a fungal disease known as Pine Pitch Canker. Common Uses: Veneer, plywood, paper (pulpwood), boxes/crates, and construction lumber. Comments: In the southern hemisphere, where pines are to a large extent absent, Radiata Pine is the most commonly planted and cultivated pine. It is valued on plantations for its fast growth and utility as both a source of construction lumber as well as wood pulp in the paper industry. If you want to see radiata pine, just visit your local Home Depot. Their premium pine is radiata from New Zealand. It is completely clear of knots and is a delight to work with. 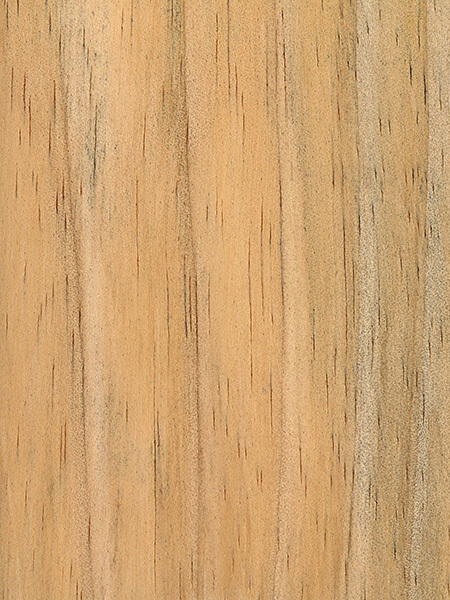 The appearance is similar to yellow pines, but the texture is more like white pines, without the alternating hard and soft layers that yellow pine has. It looks great under a clear finish. This article has many mistakes. Even glancing at it I was able to make out two; that radiata pine is knot free (very untrue; knots are very common) and that it has a medium and even texture (again, untrue; it has a fine texture and uneven grain which allows for more secure joints when using glue). I recommend looking into other sources. Radiata Pine is MOSTLY knot free. Because they are plantation grown new growth limbs are trimmed away there may be tiny knots where the limbs were. 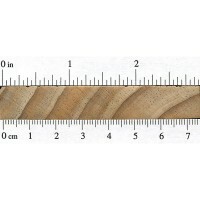 And from my experience does not have a fine grain similar to that of maple, which most certainly is fine grained.